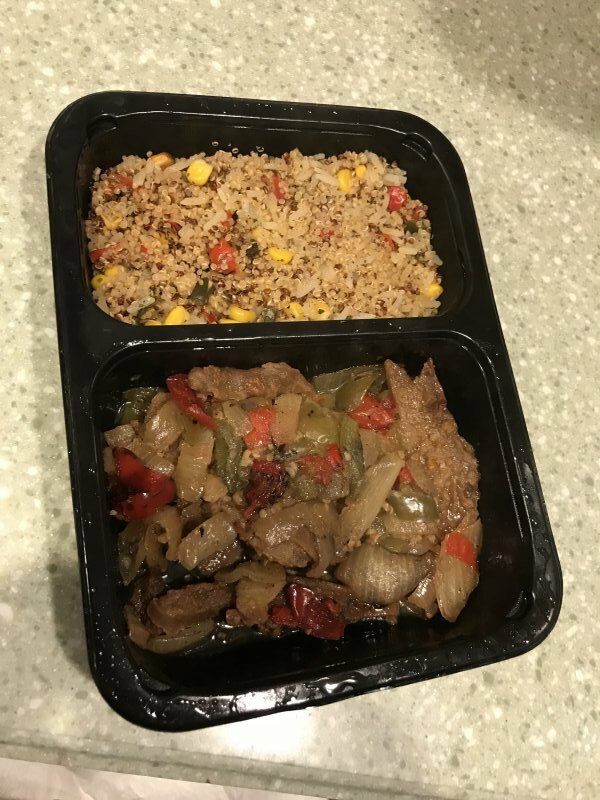 Healthy Meals Supreme provides prepackaged nutritious meals that are designed to meet your specific dietary needs and are delivered to your home. All you have to do is heat them up and enjoy. In today’s fast-paced society, it’s so easy to just grab something to go. Who has time for all the shopping, prepping, and cooking? The problem is that most prepacked and “to-go” options are not the healthiest. And, for those of us that have specific dietary restrictions we’re supposed to follow, eating quick and easy while also being healthy is even harder. Now you have to add looking for amounts of sodium, cholesterol, carbs, sugars, etc… in the ingredients, and measuring out your servings after cooking. If all this seems daunting, you’re not alone, and that’s the inspiration behind Healthy Meals Supreme. The Healthy Meals Supreme team gathers all the ingredients, calculates all the nutritional values, does the cooking and measures out the servings. 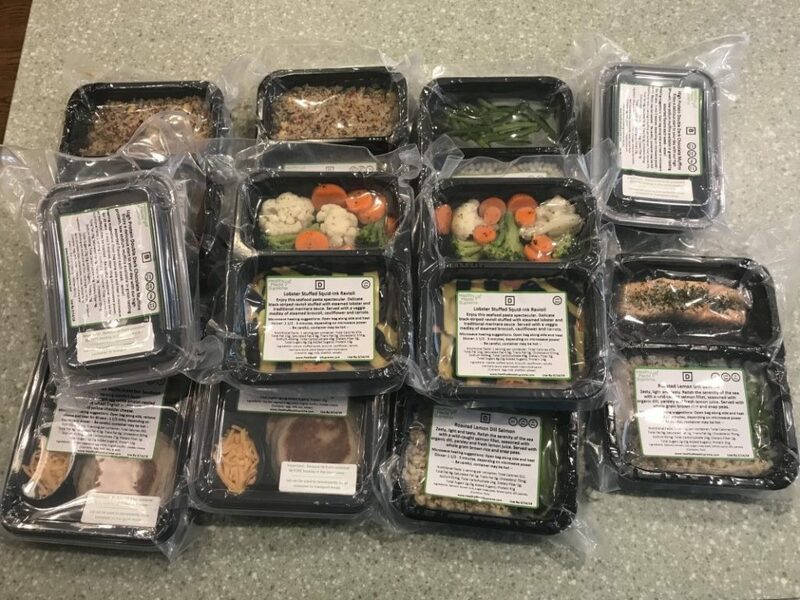 Their website is set up so that you can choose specific meals or follow a meal plan designed around supporting certain chronic illnesses such as Diabetes or Alzheimer’s Disease, promoting weight loss, increasing fitness, or simply maintaining healthy eating. 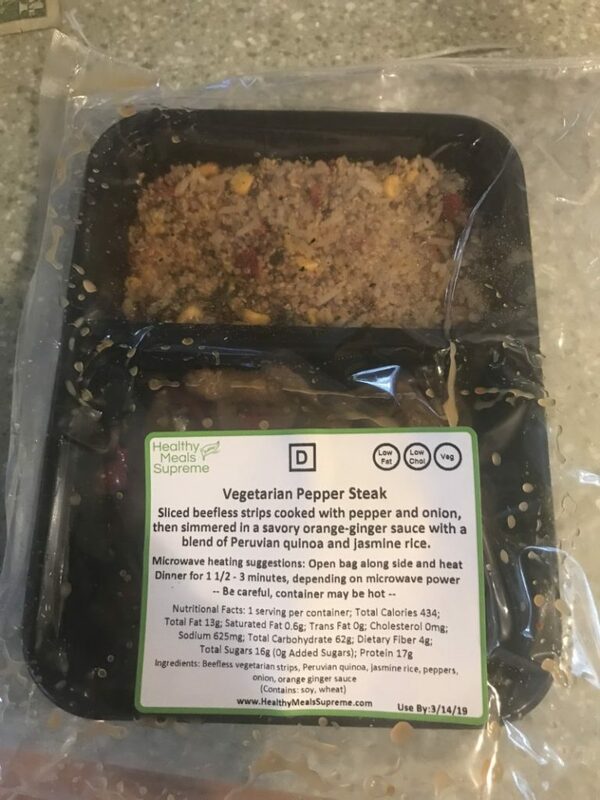 Each meal comes individually packaged and ready to be microwaved. After the meals are cooked, they are vacuum sealed and kept refrigerated until you receive them. The idea is for you to use them within the week so they don’t ever have to be frozen. As you can see, each package comes with a description and heating suggestion on it. Within a couple of minutes, you have a fresh, yummy, healthy meal. Also, the trays the meals are provided in are recyclable and are top rack dishwasher safe if you’d like to reuse them. In addition to purchasing single meals or meals via meal plans, you can also purchase gift certificates to share Healthy Meals Supreme with family members or friends. If you try it out, let us know what you think. Why is dieting so hard anyhow!? !